A few new Previews Exclusives action figures have been revealed. Beast Kingdom is offering two Clone Troopers from Star Wars: Episode III – Revenge of the Sith. See the press release below and read on for photos of both figures. The Republic wants you… to go to your local comic specialty shop and pick up the new Diamond Comics and Beast Kingdom PREVIEWS Exclusive (PX) 501st Clone Trooper and Shock Trooper Action Figures. 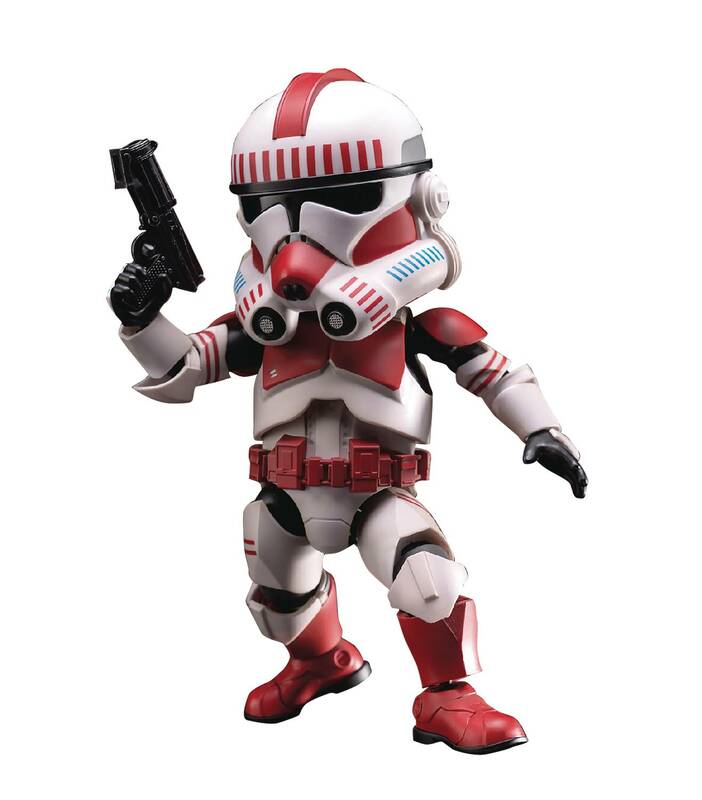 You’ll find two new expertly crafted designs depicting two divisions from the Grand Army of the Republic from Star Wars Episode III: Revenge of the Sith with the release of the new 501st Clone Trooper and Shock Trooper figures. 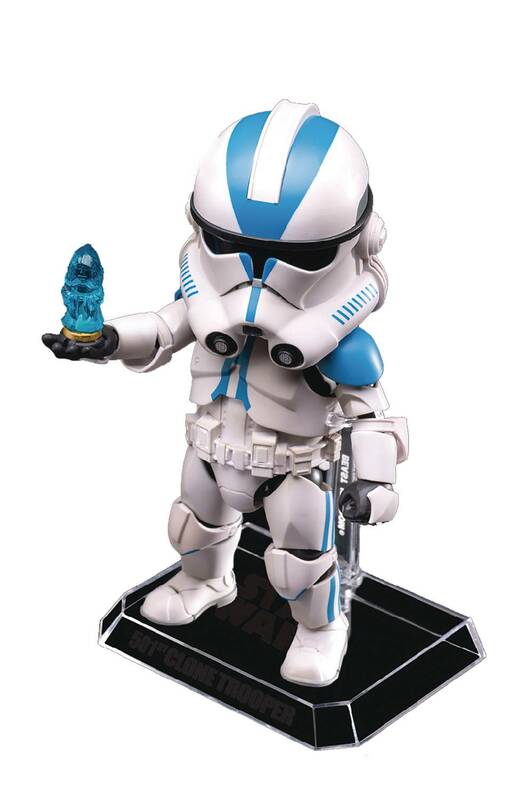 The 501st Clone Trooper stands 6” tall in his textured blue and white armor, and comes with an interchangeable hand to receive hologram transmissions from Darth Sidious. 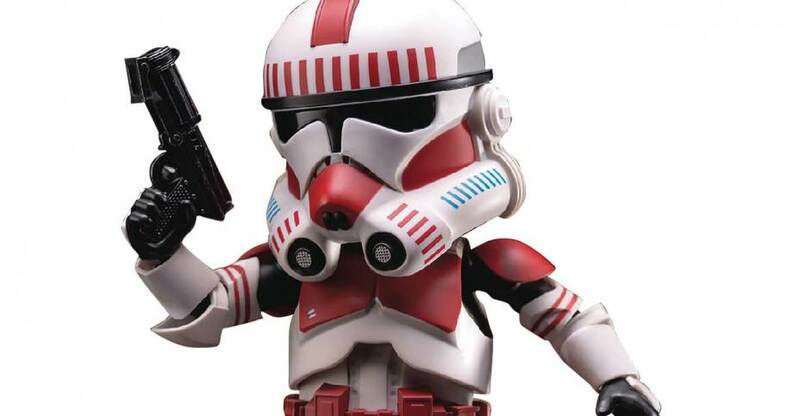 The Shock Trooper also stands 6” tall in his red and white armor, and comes with an interchangeable DC-15D blaster rifle and DC-15A blaster pistol. These dazzling Dark Side PREVIEWS Exclusive items are featured in the June issue of Diamond’s PREVIEWS catalog. These Beast Kingdom Egg Attack figures have a suggested retail price of $59.40. These items will be available in stores late July 2017. Fans are encouraged to their local comic book specialty shop to pre-order their own Republic Clone Trooper collectibles. To find a comic shop near you and order, visit www.comicshoplocator.com.